LONDON, WATERLOO, UNITED KINGDOM, October 29, 2018 /EINPresswire.com/ — As military operations and large-scale joint exercise requirements increase across Europe; armies are increasingly facing the immense task of maintaining the tactical and operational upper hand with regards to supply chain and defence logistics. For this reason, military logistics is as important now as ever before. Armed Forces must strive to work with one another, as well as engaging more closely and efficiently with industry. This will undoubtedly lead to new innovative ways to increase reliability and reduce costs across logistics and supply chains more widely – in turn providing both operational advantages and increasing allied effectiveness across the region. SMi’s 4th annual Defence Logistics Central and Eastern Europe conference will bring together the key military logisticians from across the Central and Eastern European region and beyond, to discuss new trends and crucial developments in Defence Logistics and discuss how modern Armed Forces are increasingly pursuing improved logistical efficiency. Highlights of the two-day conference include: Exclusive briefings from key strategic planners and decision makers from Central and Eastern European militaries, including high-level officials from the Czech Armed Forces and the other V4 Nations. 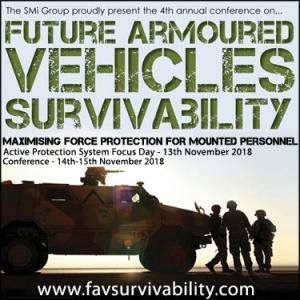 Additionally, benefit from unrivalled networking opportunities with vital solution providers at the forefront of the industry, as well as a host of other nations as they present on topics ranging from medical logistics and maintenance repair and overhaul (MRO), right up to the highest strategic and operational developments in the field of defence logistics. Key topics at Defence Logistics 2019 include: Regional Updates, Fuel Logistics, Efficiency and Planning, International Operations and Solutions, Medical Logistics Capacity, Logistics Supply Systems and MRO (Maintenance, Repair and Overhaul), to name but a few. The conference is proudly sponsored by: HIAB, International SOS, KH Inc, WEW and World Fuel Services.